Situated in the heart of North Texas, Dallas has more to offer its visitors than you can shake a stick at. As a mecca of industry, the city shines in cultural and economic diversity. 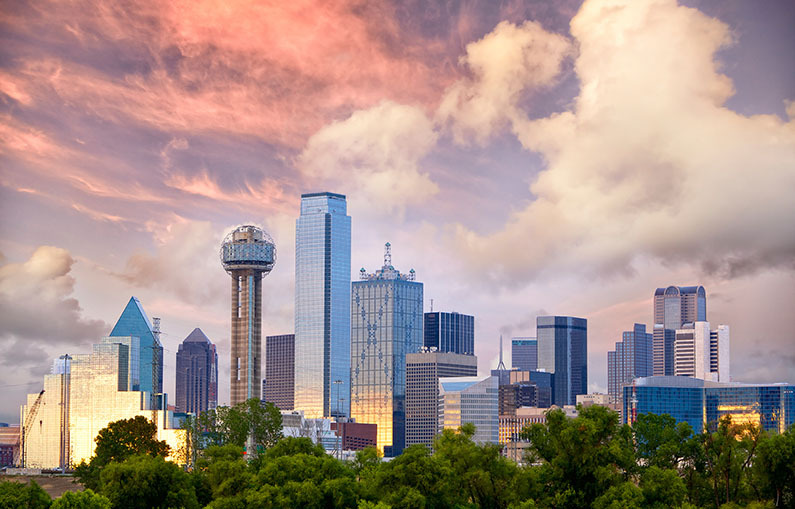 Spend some time in Dallas and experience Texas tradition at its finest—the boldness of a big city combined with a welcoming atmosphere, great barbecue, and scenic sights. Step into the Nasher Sculpture Center and experience one of the greatest collections of contemporary sculpture. The center offers guided tours for groups of ten or more, though you’re welcome to stroll the grounds solo any time. The imagination is hard at work when viewing these oft-fantastical exhibits, including contributions from Matisse, Gaugin, and Picasso. On the first Saturday of every month, the center offers free admission for kids. Over 66 acres, the Dallas Arboretum and Botanical Gardens showcases the finest in flora and fauna. Each of the 19 named gardens highlights a different slice of nature, including the Pecan Grove (a fall-themed exhibit) and Crape Myrtle Allee (crape myrtle trees creating a tunnel over a stone path). This fantastic tribute to nature constantly evolves, and serves as a gorgeous backdrop for a special event (or just a normal afternoon). One of the more unique offerings in the Dallas art scene, the Adrian E. Flatt, M.D., Hand Collection is a remarkable set of bronze-casted and coated hands. Dr. Flatt, an orthopedic surgeon, amassed this collection during his illustrious career, aiming to reveal the expressive nature of human hands. Stop by Baylor University Medical Center and see the hands of famous athletes, musicians, and political figures—this exhibit is free and open to the public 24 hours a day. For the comic book nerd in all of us, Dallas has created The Marvel Experience. The “experience” makes exciting claims—you will become your favorite superheroes—though it’s mostly a whimsical tribute to Marvel and its beloved characters. You’ll need to book a two-hour time slot ahead of time, and then prepare yourself for an in-flight motion ride, virtual reality simulations, and of course, lots of costumes. To plan your trip to Dallas or for an extended guide of things to do, visit the official Dallas city guide at http://www.visitdallas.com.